Partly cloudy skies. Low near 55F. Winds SSE at 5 to 10 mph.. Partly cloudy skies. Low near 55F. Winds SSE at 5 to 10 mph. DENVER — When a Colorado teacher got her English language students talking and writing about the police shooting of a black teen in Ferguson, Missouri, she was able to draw parallels to events close to home. Cara Luchies, who works in a high school that is 50 percent Hispanic, used an archive on the region’s Latino history for information on two young Mexican-Americans who were killed by law enforcement in Longmont in 1980. Luchies is among educators and activists across the country who say they are working to ensure young Americans of any background learn through ethnic studies about the hard work of nation-building. The push has at times met opposition. 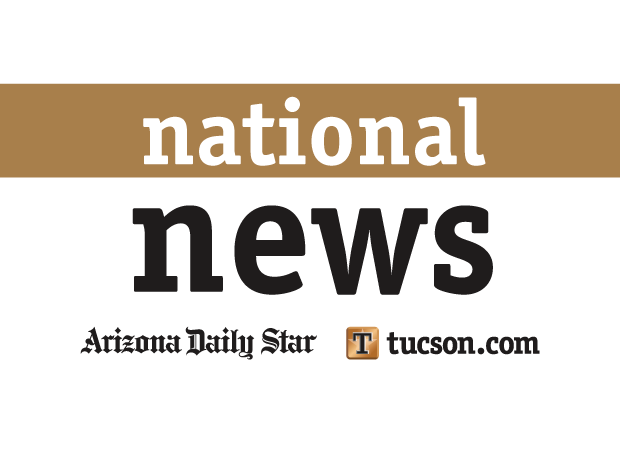 Lawmakers in Arizona passed a 2010 ban on ethnic studies that forced a Tucson school board to shutter a Mexican-American program. In Texas, a push for a statewide Mexican-American studies high school elective faltered in the face of concern that it might introduce leftist politics into classrooms. But in Colorado, a government class that, by state law, must cover “the history and culture of minorities, including but not limited to the American Indians, the Hispanic Americans and the African Americans” has been a graduation requirement for a decade. A measure before the state Legislature would strengthen that law. The proposal would create an ethnically diverse commission to help school districts develop the kind of curricula for which teachers like Luchies have been searching. “We want to move that law forward,” said state Rep. Joseph Salazar, a Democrat who introduced the proposal this session. Last month, the House education committee referred the proposal to appropriations. Salazar doesn’t expect much opposition to the proposal he made in response to constituent concern that implementation of the law on ethnic studies has been weak. “I hope we don’t start hearing the language that we heard in Arizona,” Salazar, who is Hispanic, said in an interview. Proponents, however, argue ethnic studies courses help students. Stanford University researchers looked at an ethnic studies pilot started in 2012 in San Francisco, where ninth-graders were offered classes that included projects focusing on their communities, families and selves. In a report released in January, the researchers concluded such classes helped increase grades and attendance among struggling students. In 2014, the San Francisco school board voted to offer the program at high schools. Even when the call is for broad ethnic studies programs, plans often allow schools to focus on material deemed most relevant to their populations. The Los Angeles school board voted in 2014 to make ethnic studies a graduation requirement. Elsewhere in California, the Oakland board is among several to direct high schools to offer ethnic studies courses. Curtis Acosta, who helped develop the Tucson Mexican-American studies program targeted by lawmakers in Arizona, has left the classroom and started a consulting business. Since 2013, he has traveled to states, including California, Oregon, Texas and Washington, to help districts design ethnic studies courses and coach teachers on how to tackle tough subjects. In Colorado, Luchies has led such conversations in her classroom. In 2014, a former colleague introduced Luchies to a trove of 1,600 items — recorded interviews, family photos, written histories and newspaper accounts. The archive was compiled by the Boulder County Latino History Project, which held a workshop for teachers during the summer of 2014 — the same period that 18-year-old Michael Brown was killed by a white police officer in Ferguson. Luchies learned about the legacy of the 1980 Colorado deaths: an organization founded by Hispanic leaders that successfully pushed for the establishment of a Longmont police affirmative action program. When Luchies returned to Skyline High School in the fall, she asked her students to consider what had happened in their city and write about ways they could help a community like Ferguson heal. “Kids succeed and do better in school when they actually can read and talk about people who look like them,” Luchies said. Deisy de Luna Cervantes, 21, who was 11 when her mother brought her to the U.S. from Mexico on a tourist visa, helped record interviews for the Boulder history project. “I am Mexican. I can consider myself Hispanic. But I can also be American,” she said. Ironwood Ridge High School students will travel across the country this spring to take part in a leadership program and a national competition.